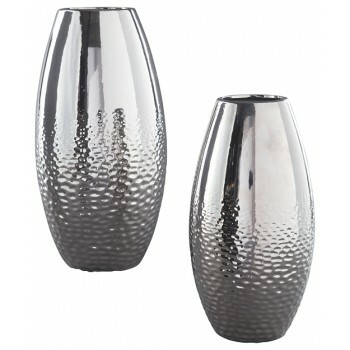 Add subtle glam with this ceramic vase set, reflecting your eclectic eye for design. Textural pattern gracing the sides of the vases evokes ripples of water. Spectacular silvertone glazed finish adds a splash of sheen and shine.